A second assortment was revealed during Toy Fair 2018. You can see the photo by clicking the thumbnail to check them out. We’ll update when sales go live. We finally have a full detailed look at the upcoming Pop Culture Shock Planet of the Apes General Ursus on Steed 1/4 Scale Statue. This statue stands at a massive 31″ tall. 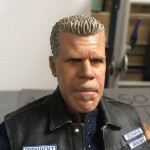 It will feature a tailored outfit, a diorama style base and will be available only through popcultureshocktoys.com. The statue is limited to just 350 pieces in total. Pre-orders kick off on May 4th at 3:00 PM PST at a price of $949.99, with up to a 20% discount for pre-ordering. It’s currently scheduled for a second quarter 2015 release. To prep for the pre-orders, Pop Culture Shock released a new gallery. Pop Culture Shock has sent out their weekly newsletter. 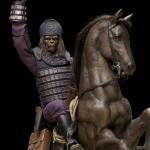 They let fans know a full reveal for Beneath the Planet of the Apes General Ursus on Steed should be hitting soon. Also in the update was a new in-progress preview for a few items. Included was a look at the head sculpt for their American Werewolf in London Kessler Wolf 1/4 Scale Statue. 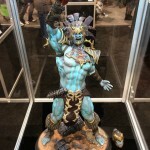 They recently revealed their Mortal Kombat X Kotal Kahn 1/4 Scale Statue. They were unhappy with the paint job, so they are repainting it from scratch. Read on for a few images. Pop Culture Shock sent out their latest newsletter. They’ve revealed the final version of their upcoming Beneath the Planet of the Apes General Ursus on Steed 1/4 Scale Statue. The statue will be a PCS Esclusive and will be extremely limited. They also posted a new preview for their Masters of the Universe Battle Cat 1/4 Scale Diorama. PCS also shared a 3D sculpt preview for their upcoming Mortal Kombat X Quan Chi 1/4 Scale Statue. Also in the newsletter were updates on some previously solicited items. We’re sad to report that the Street Fighter Chun Li vs Vega Statue has been cancelled. Read on for the images and much more info. 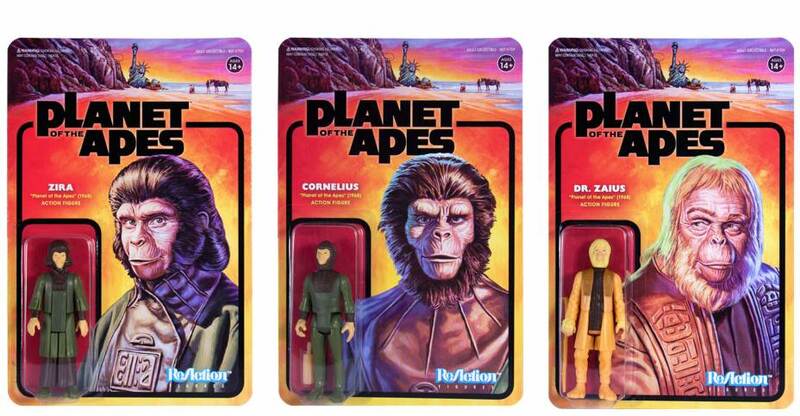 Pop Culture Shock has sent out an update on their Planet of the Apes line. In this weeks newsletter, we got a better look at the upcoming statue and a confirmation on the character. 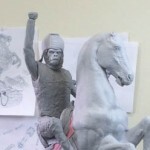 The statue will be a 1/4 Scale Beneath the Planet of the Apes General Ursus (not Aldo as I previously suspected). Ursus will come riding a horse. The preview shows the in-progress sculpt, so not all of the details have been added yet. You can see the new images after the jump. 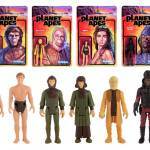 Pop Culture Shock has posted a preview, which reveals they will be releasing classic series Planet of the Apes collectibles. 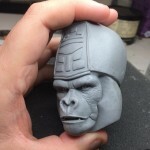 The preview images shows off a head sculpt for a Planet of the Apes General Ursus. No word on if this is planned to be a statue, bust or a 1/6 scale figure, as PCS is entering that realm of collectibles. PCS has confirmed that is actually General Ursus, and not Aldo. Updated the story to reflect this info. We’ll have more as it becomes available. You can check out the photo after the jump.